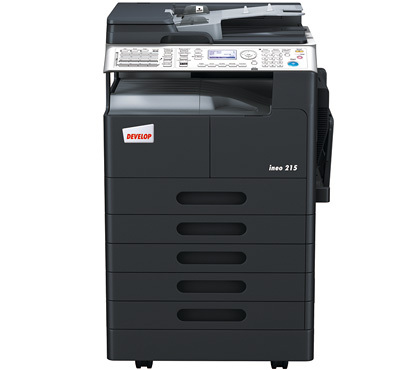 The Bizhub 215 is also available in the UK market as the Develop Ineo 215. Develop is a 100% wholly owned subsidiary of Konica Minolta and their products are identical apart from the name plaque on the front panel. Do you need A3 copying but even less complication, if so view the Bizhub 165, which is the same basic product without the list of confusing options. For more information or help with your selection call our helpfule sales team on 0800 1244 199 or email us.